If you are wondering, what are the differences between the Aulora Pants with Kodenshi versus Soft Snug pants, I’ll will share some information on this article and hopefully will answer your question. Firstly, the Aulora Pants with Kodenshi is a medical grade health and wellness pants. The pants is made with 88.4% Kodenshi fiber and 11.6% polyurethane. It’s main feature is it’s ability to emit far infrared rays (FIR) when the fabric touches your skin and absorbs your body heat. The key benefits of FIR is improve our body blood circulation. When you have good blood circulation, you will experience many health benefits. One of the benefits of improved blood circulation is faster fat burning which will lead to weight loss and slimming. Soft Snug on the other hand is generally a type of heat pants. It is made with 100% genuine neoprene. The key feature of the pants is to help you to sweat more during exercise. Some of its pants such as the Neroli Essential Series 9 has added essential oil from citrus fruit to help with fat burning and skin care. But in essence, Soft Snug is a heat pants which are used to help you to sweat more. Both the Kodenshi pants and Soft Snug have their own features and benefits. 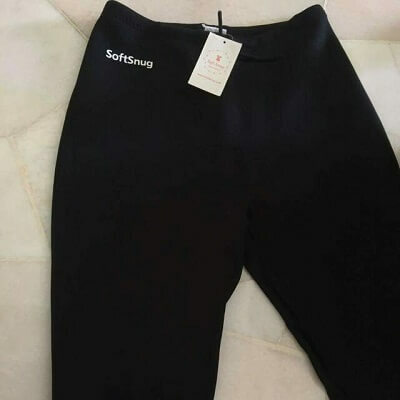 If you are an active person and you love to workout outdoors or in the gym, you can go for the Soft Snug pants. Because the pants help you to sweat more, you will get to burn more calories from your exercise session. However, if you have different needs such as to get rid of water, reduce knee and joints pain, relieve neck and shoulder pain, passive fat burning etc., you can try the Aulora Pants. Personally, I am wearing the Aulora Pants since December 2017. The results for me has been very good so far. You can check out my Aulora Pants review on this blog. If you do, just click the link below to contact me through WhatsApp and I’ll share the product catalog with you.